$32 + tax from local Pull A Part. Not sure if that is a great deal but thought it was fair. 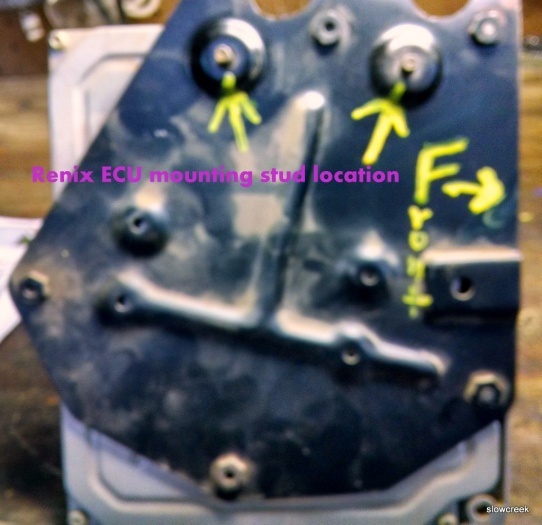 This should help you guys when swapping ECUs: Leave it on the bracket. We're thinking the 4 digit number is year and weak of the year. 9022 being the 22nd week of 1990. 87 and 88 had c101 and wimpy ECUs. Just completed the swap from 88 to 90 ECU (marked 8942 so I'm assuming late 89). For me UNDENIABLY MORE POWER!! To be fair, since I got the 88 about a month or so ago, I thought it was either a bit down on power or just weak (only 177 or so hp). Pulling long hills was a chore and general accel was not wonderful (especially pulling my 16ft bass boat). Now, there is a distinct difference in 0-60 accel and pulls up hills do not seem so difficult(have one major one in my neighborhood I gauged it by). Not to mention, idle quality is noticeably better. Mine was not bad, but it is much smoother now. I was assuming I needed to clean my IAC previously. That being said, perhaps my ECU was not up to peak performance so I may be seeing more than normal gains. Your results may vary, however, I would recommend the swap to anyone with an 87 or 88. Cruiser would you suggest doing the C101 elimination before the ECU or will it be fine to do the new ECU first? We KNOW what the ECU will do.